The school board governs and the superintendent administers the school district. While this may sound simple it is often the most difficult area for the board and superintendent to clarify. Not having a clear understanding of the board and superintendent’s proper role can lead to poor communication, mistrust and, in the end, conflict and educational failure. In order for boards and superintendents to begin clarifying their roles agreement must be reached on a few common elements. In general, boards are elected by the community to set priorities, establish policies and evaluate the outcomes of district operation. Superintendents identify needs and policies, develop regulations, provide leadership, and manage the day-to-day operation of the district. Each school district’s needs and conditions are unique. 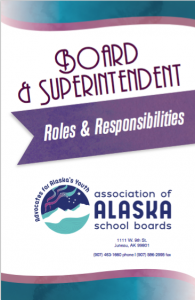 And since the dynamic between a board and its superintendent varies from district to district, they often fall into their own particular version of the proper roles of governance and administration. Unfortunately, few take the time to analyze the division and discuss options for structuring an approach that will be best for the district. The school board is the final authority in the district. Since the board can only act as a group it confers to the superintendent sufficient legal authority to implement the board’s policies and run the day-to-day operations of the district. The board and superintendent should consult before making any final determination on educational issues affecting the district. The superintendent serves as the board’s chief adviser on educational matters and as the district’s educational leader. He or she is responsible for ensuring the board is informed about district operations and activities, and about the district’s needs. Developing administrative procedures necessary to manage the district’s day-to-day affairs properly and in conformity with board policy is the responsibility of the superintendent. These procedures must be in compliance with all laws, rules and regulations that apply to the district. The superintendent should ensure sufficient information is provided to the board so it is able to make informed decisions and evaluate the results of those decisions. The board and superintendent should work together to set priorities for the district. Priorities can establish goals for the budget, determine new educational programs, and ensure adequate services are available to students. The board and superintendent should set aside time to define their proper roles within each of these areas. The superintendent acts as an adviser to the board in establishing its priorities. He or she identifies the current needs of the district, suggests a process, supplies information to the board, makes recommendations and develops strategies for implementing the priorities. 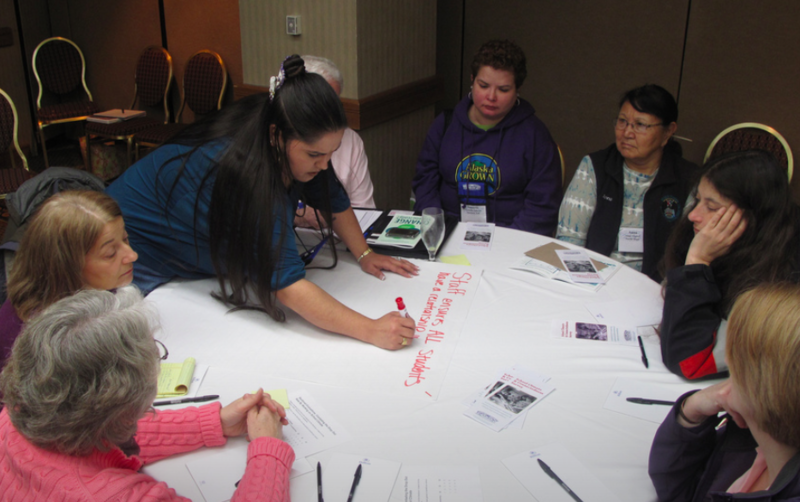 Boards make the final determination of priorities for the schools. Developing its policies is the board’s major responsibility. By adopting policies aimed at specific priorities, the board clearly defines its vision for the district while it leaves room for the administration to use judgment in selecting an approach to implementing them. Neither the board nor superintendent can work alone in this process. The board reviews, evaluates and adopts policies that define its intent for the superintendent and what is needed to implement the policies. The superintendent suggests policies to the board, provides information and drafts written policies, develops regulations, and collects information on the impact specific policies have on the district. Only the superintendent can manage the day-to-day operations of the district, and only the board can identify the expectations for the district through its policies. Boards that micro-manage are working outside of their policy-making role. Superintendents who macro-manage are superseding the governance role of the board. Roles of the board and superintendent need to be clarified through discussions of the expectations and responsibilities for various tasks. If there is disagreement about the process or responsibilities, take the time to discuss each participant’s perception of what has taken place in the past and what he or she thinks should take place in the future. AASB’s Board Standards offer a good starting point for that discussion. Each of the Standards has indicators that define board responsibilities and actions. The school board and superintendent should treat each other with respect at all times. The actions of the school board and superintendent should provide the public with confidence that the district is being run professionally and in a manner that is consistent with the students’ educational needs and the community’s desires and aspirations. If the school board and superintendent make an effort to understand and respect each other’s roles, they will avoid unnecessary conflicts. They also stand the best chance of responding successfully to the various issues confronting the district. Serving on a local school board requires lots of it. No longer is it reasonable to expect board service to take one night per month. Public education has become far too complex and community expectations far too great, for the leisurely pace of yesteryear to be the rule today. Today’s board members say they can easily spend 30 or more hours per month on school issues: negotiating contracts, planning, work sessions, community meetings-not to mention personal phone calls and other contacts made. Individual school board members, by themselves, are not empowered to make districtwide changes, but, by working well with board colleagues, the superintendent and with other groups who are shaping public schools, virtually anything is possible. Occasionally a board will find itself embroiled in controversy and turmoil. Reasonable adults should be able to disagree agreeably, then move to the next level without chewing up themselves-and the district-by creating lasting divisions that assure loss of public confidence. School board members’ ideas may be wonderful, but if they lack the skills to persuade their colleagues and the public of their value, they will be less effective. If only one set of skills were available for an effective school board member, I would choose solid interpersonal skills and attributes, including communication, trustworthiness, honesty, confidentiality, consistency, and other such traits that cause interpersonal relationships to blossom. Concern for the entire school district not for a special interest or a narrow philosophy. Most of us have a “favorite” concern about schools. It may be sports, fine arts, “the basics,” special education, or something else. And that’s okay. However, an elected school board member must keep a broad view of the district and see a wide horizon. Every program offered by the district has value, or it should not be offered. Good board members recognize that, and try to build them all to their highest level of quality. The other dimension of this point, philosophy, is more subtle. More and more, narrowly focused organizations are helping candidates get elected so that their commonly held philosophical views will influence board action. Of course, this is all very legal. In fact, such organizations are to be applauded for their commitment. However, a voter must take the time and make the effort to learn as much about school board candidates as possible in order to know the philosophy of the person they elect. State law requires few qualifications for service as a school board member. Some individuals are elected with more immediate knowledge and skills than others. But no one, regardless of occupation, intelligence or personal skills, comes in knowing all he or she needed upon election. Those who approach their jobs with a desire to be more knowledgeable and skilled become more effective school board members. Serving on a local school board can be one of the most rewarding challenges any citizen could hope for. The system works best when able and committed people step forward and serve their communities. If ever there was a time when quality leadership was needed, it is now.